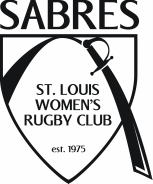 Welcome to the official website for the St. Louis Sabres Women's Rugby Team in St. Louis, Missouri. We are a Women's Division II Club side. We are always welcoming new players, both new to rugby and new to St. Louis. Please contact us if you are interested in joining us! The Sabres capped off a strong and hard fought 2017-2018 season with their first trip to the National Championship in the 43 year history of our club. The Sabres placed second in the country for the Women's DII Club Division and are working to capitalize off of their momentum in the coming season. Please contact us or send us a message through Facebook. A player will respond directly to you. Donate & Support the Sabres! Stay up-to-date on Fundraisers, Apparel and season recaps!